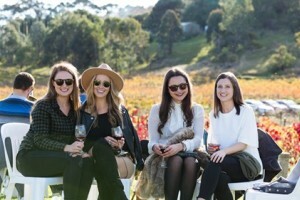 The McLaren Vale Sea & Vines Festival celebrates the culinary and winemaking traditions of our premier food and wine destination with a beach lifestyle. The program includes more than 50 events across 28 venues – From intimate long lunches, chef’s table demonstrations and wine flight master classes to archery for kids, rock n’ roll music and cabaret shows – there’s an event to suit every taste. Over three days of the June long weekend public holiday, enjoy the very best of McLaren Vale’s premium wine, food and beach lifestyle. Tickets on sale 27th March.